This all-GRP sailing yacht has been specifically commissioned to take part in the second Oyster World Rally — a two and a half year circumnavigation that is due to set off from Antigua in January 2017 and sit out the 2018 Pacific cyclone season in New Zealand. Her owner was looking to replicate the levels of comfort and wellbeing that they are accustomed to on-shore. To that end, Enso has been fitted out with extensive air conditioning and an advanced water purification system. What’s more, additional shielding was added to her electrical cabling to minimise electromagnetic field transmission. 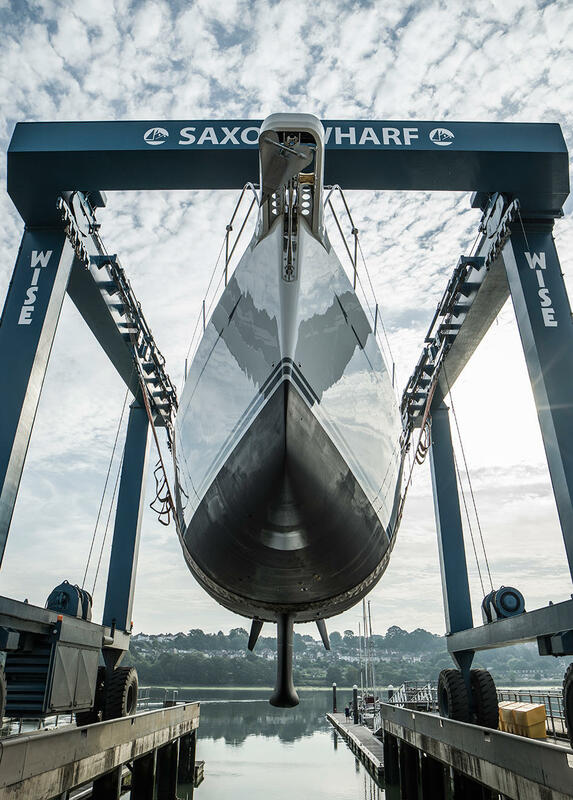 The sixth hull in the Oyster 825 sailing yacht series has been launched and called Enso, the British yard has announced. Featuring naval architecture and exterior styling by Rob Humphreys Yacht Design, Enso hit the water for the first time yesterday (August 25) measuring 25.15 metres LOA.